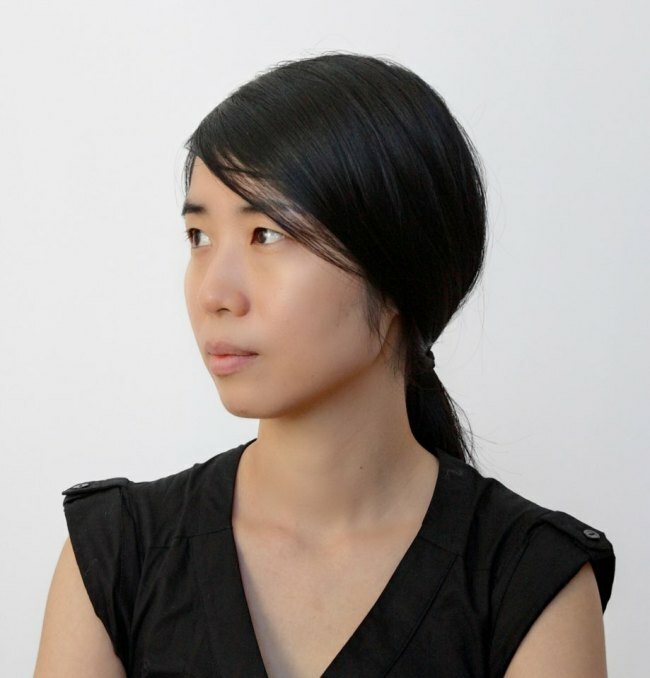 Park Jin-hee, a recent winner of the Iakov Chernikhov International Prize, is an architect based in Seoul and New York widely recognized for her “micro-housing” projects. For the upcoming Herald Design Forum 2018, Park will join Martha Thorne, executive director of the Pritzker Architecture Prize, to talk about the changing role of architects, as well as the new possibilities of architecture. Park will also share details of her past projects. Micro housing is an architectural concept that seeks to bring both efficiency and aesthetics to cities that are becoming more densely populated. “One of the early projects that has been very important is the HBNY building in New York. It was a house designed for three business-class urban families, whose members had to be constantly on the move,” Park said in an email interview with The Korea Herald and The Herald Business. Twelve on-the-go users are able to customize the space while sharing the single apartment, which can be divided by mesh curtains. The project stemmed from the major concern of how to offer solutions to housing issues amid the increasing density of urban areas and rising housing prices. It won the AIA/BSA Interior Architecture Honor Award. “(The HBNY project) was developed into the ‘micro-housing’ project years later. (SsD) has been recently carrying out several projects in Malaysia, Geoje, Kassel in Germany, under the same title,” Park said. Park says that people tend to notice a huge difference between normal residential buildings and those designed by architects. “The feeling seems to represent how uniform living spaces have become for people here. Korea’s residential spaces have been developed not based on an individual but based on multiple members. This focus on collectivity has played a crucial role in making residential places become standardized and uniform,” she said. “The apartment units erected on mountain sides have become one of the iconic images of Seoul, whether you like it or not. ‘Sponge Park’ was one of our projects that tried to offer an option in renewing existing residential buildings,” Park said. 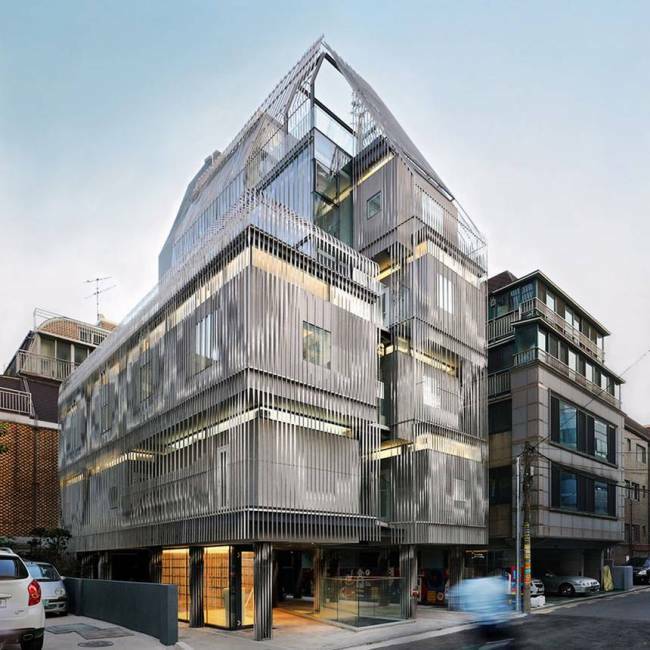 The Songpa Micro-housing project is also rather different from the surrounding buildings, as its design is not common. It suggests an option for a residential building by equipping it with efficiency, Park added. Park emphasized that her main focus in architecture has always been people. “My main interests are how people act in space and how people react to a given space such as very densely populated city areas. The ways in which people become influenced by the given spaces cannot be easily quantified or pinpointed. “However, it is undeniable that (architecture) greatly influences the ways in which people behave. A work of architecture occupies a significant presence in a given space. In that respect, architectural design makes great impacts on physicality of given space. Because architecture can contribute to societies and the environment in many ways, we try to take a careful approach and conduct extensive research, when designing,” Park said. Park is currently an adjunct professor at Columbia University Graduate School of Architecture, Planning and Preservation. She served as a design critic in architecture at Harvard Graduate School of Design from 2009-2013 and the Morgenstern chair professor at the Illinois Institute of Technology in 2008.